As expected, the 2016 harvest was down 15% compared to the average over the last five vintages. Nonetheless, over the long term, the overall volume of Bourgogne wines going to market remained stable, with only a 1% drop between the decade 2007-2016, compared to 1997-2006. Good stocks of available wine, thanks to the generous 2014 and 2015 vintages, coupled with sustained demand, have allowed Bourgogne wines to maintain a healthy overall pace of growth on the export market (up 1.6% by volume and 4.5% in terms of revenue in 2016 over 2015). Total revenue grew by 34 million euros (up 4.5%) in 2016 to 813.2 million euros. The main markets of North America, certain European territories (United Kingdom, Sweden and Switzerland), Hong Kong and China mainly contributed to this strong performance, both in terms of revenue and volume. The French market continues to flourish for Bourgogne wines despite a difficult domestic context. In 2016, the Bourgogne wine region was one of only four whose presence on French sit-down restaurant wine lists grew, up one point. Bourgogne wines had the best degree of penetration in gastronomic restaurants (94%). While overall wine sales in the supermarket sector are continuing to fall, Bourgogne and Beaujolais wines were the only French AOCs to show significant growth, thanks to a very small rise in average price (up 1.5%). Sales of Bourgogne wines in the French supermarket sector therefore grew, up 3.4% in terms of volume, an increase of 274,000 bottles on 2015, and up 3.5% in terms of revenue. Despite this good performance, those in the Bourgogne wine sector remain prudent. There is concern about production capacity, both in terms of structural and short-term changes in its two main markets, USA and the United Kingdom. The AOC Mâcon has been undergoing a revolution for several years now. A slow revolution maybe, but a determined one, with the aim of allowing all the wonderful diversity of this terroir to shine through in its wines. It would be a pity to reduce this AOC to just Mâcon and Mâcon Villages – when in reality, there are more than 20 villages producing unique wines, both red and white. The Macon AOC is to be found over almost 40km of the sunny hillsides running beside the Saône. It offers an astonishing diversity of reliefs and landscapes. In some places peaceful plains, while in others capricious, craggy heights, the terroir is tricky here, giving each wine its own unique character. One cannot talk of one Mâcon wine, rather a multitude of Mâcon wines. • Limestone, marl-limestone, or calcic terrain, which is particularly alkaline and particularly enjoyed by the Chardonnay varietal. The fruits from these vines produce characterful wines that are sophisticated with an acid structure that makes them particularly suitable for aging. • Clay or clay-flint terrain, that is more acidic and best for producing dry and fruity white Mâcons for enjoying in their youth. These wines are perfect as an aperitif. Red Mâcons made from the Gamay grape on this kind of land are very pleasant and moreish. • Siliceous terrain over granite or volcanic subsoil is typical of the southerly part of the Mâconnais region, although they can be found all over. They are particularly suited to the Gamay grape and produce red Mâcons that are naturally fleshy and spontaneous, with notes of red berries or peppery undergrowth. - Mâcon (red, rosé, or white): Applies to wines produced all through the appellation area. (246 hectares). - Mâcon Villages (white wine only): From across the entire appellation (around 2,000 hectares). - Mâcon + name of the village where the wines are produced (red, rosé or white): 27 communes can attach their name to the Mâcon appellation. Appellations include Mâcon-Milly-Lamartine, Mâcon-Uchizy, and Mâcon-Azé. The diversity of the soil type here is fully expressed through the wines produced, allowing the consumer to pick the style they like best. But don’t ask for a white Macon Serrières – it’s only made in red and rosé! Come and discover the wines of Mâcon in a wonderful pop-up wine bar on the banks of the Saône in Mâcon. With concerts, a space to discover Mâcon wines, and plenty of food options. The BIVB is partnering this event which runs from 5:00pm to 1:00am on the Esplanade Lamartine in Mâcon. 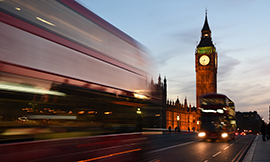 London: Find out everything you need to know about Mâcon + name of the village at this pop-up event! Have you ever enjoyed a Mâcon-Burgy? Or perhaps a Mâcon-Serrières, or even a Mâcon-Uchizy? Well, behind the Mâcon appellation is a huge diversity of villages that are increasingly catching the eye of wine lovers and tastemakers around the world. 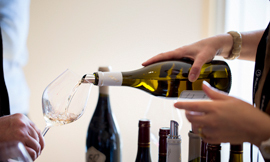 On 12 June in London, the Union des Producteurs de Vins Mâcon and the BIVB invite you to take part in the “Mâcon-Plus” pop-up event with a major tasting of wines from all the villages, both red and white. You can then continue the experience over a convivial dinner. Come and seize this opportunity to meet some of the producers – you’ll be surprised by what the Mâcon + villages have to offer. This is such an exceptional opportunity that the École des Vins de Bourgogne only offers it once a year… and in English! It’s time to reserve your place for this three-day training course dedicated to the region’s most sought-after appellations. “The Saga of the Grands Crus”, runs from 29 June to 1 July 2017. 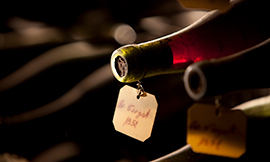 It’s no mean feat bringing together the Bourgogne region’s 33 Grands Crus wines, some of which are highly prized. This rare opportunity for the most passionate lovers of Bourgogne wines, whether individuals and professionals, will be hosted in English by two experts, one specializing in tasting and the other in geology. 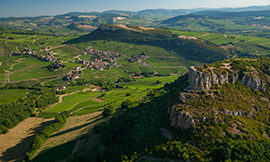 • Meetings with winegrowers and tastings in different estates that produce Grand Cru wines. The session runs over three full days from 29 June to 1 July 2017, with a welcome dinner on 28 June. 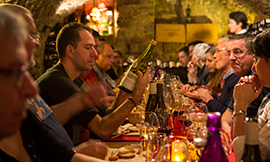 Restaurateurs: Why not host a speed-workshop for your sommeliers featuring Bourgogne wines? The BIVB is launching a new offer for the restaurants in Ontario involving a one-hour workshop with the choice of two themes, “Bourgogne Premier Cru Climats” and “Bourgogne Village Appellations”. From the end of May 2017, the BIVB is offering restaurants the chance to host a short-format one-hour professional workshop on Bourgogne wines for their sommeliers, on one of two themes, “Bourgogne Premier Cru Climats” or “Bourgogne Village Appellations”. This micro training opportunity is quick and efficient, and will help your employees better guide your customers through the choice of Bourgogne wines, thus boosting your sales. If you are the owner of a restaurant in Ontario and would like to organize a speed-workshop event in your restaurant, please contact frederique.charron@sopexa.com . 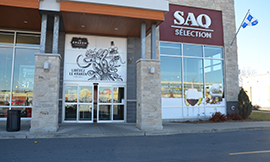 On 6 June in Quebec and then on 7 June in Saint-Lambert, the BIVB is inviting SAQ employees to come and discover the secrets of the Bourgogne appellations over a training supper. Presented by one of the BIVB’s Official Bourgogne Wines Educators, Kler-Yann Bouteiller, the event will provide participants with an opportunity to discover eight Village and Régional Bourgogne appellations, served with some carefully selected food combinations. Expand your understanding of Bourgogne wines at this laid-back event where you can chat to a producer of Bourgogne wines . Sign up now as space is limited! 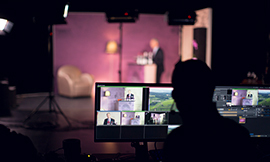 Each broadcast of the interactive show “Rendez-vous avec les vins de Bourgogne ” brings together hundreds of industry professionals around a single Bourgogne appellation. The next episode on 31 May will be dedicated to an exploration of the Santenay appellation and a selection of its Climats. Through this one-hour program, the viewers can deepen their understanding of the appellations that make up the diversity of the Bourgogne winegrowing region. • The first 20 minutes of the show are dedicated to a presentation of them, with reports and interviews with winegrowers. • The second part of the show involves a live tasting of six AOCs, hosted by Jean-Pierre Renard, enologist and trainer at the École des Vins de Bourgogne. The advantage with this kind of live show is that Jean-Pierre Renard will respond in real time to questions submitted to him via Twitter with the hashtag #BIVBRDV. The show will be screened in Belgium, Canada, Germany, Hong Kong, Malaysia, Norway, South Korea, the UK, and the USA at 9:00am, 11:00am, 6:00pm, and 10:00pm in English, and at 4:00pm in French. All times are CEST (GMT+2). To take part in the show, contact your local Official Bourgogne Wines Educator and sign up today! On Thursday 25 May, the world of wine will come together across social media to celebrate what is now a key event in the calendar - #ChardonnayDay. To remind everyone that the Bourgogne winegrowing region is the cradle of this beloved varietal, the BIVB will be very active across Twitter, Facebook, and Instagram, and is also supporting an event being hosted in the village of Chardonnay in the Mâconnais. This digital event may have started nine years ago in California, but the Bourgogne winegrowing region positioned itself as leader in 2015, the second year in which it participated. Wednesday 24 May: Chablis launches the festivities with a Tweet Up involving eight American bloggers along with American Master of Wine and journalist Christy Canterbury. Be part of the action on Twitter with @PureChablis and the #PureChablis and #ChardonnayDay hashtags. Thursday 25 May: The BIVB is inviting some 15 digital tastemakers in Canada for a get-together around an informal aperitif of white Bourgogne wines live on social media. You can join in by following @VinsBourgogne and @BourgogneWines on Twitter and Facebook, and by using the hashtags #Bourgogne and #ChardonnayDay. 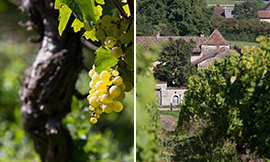 On Thursday 25 May, this village in the north of the Mâconnais in the Bourgogne winegrowing region is hosting its third edition of #ChardonnayDay, with Mâcon Chardonnay, the only appellation that bears its name. During the morning of Thursday 25 May, a special tasting will bring together Mâcon-Chardonnay wines from all 19 of the appellation’s producers, in the cellars of the Cave de Lugny in Chardonnay. This will be a wonderful opportunity to discover the flexibility of the Chardonnay varietal which, in a region that produces less than 0.1% of global Chardonnay production, is expressed in a very diverse range of wines. For the amateurs, find out about the program on the event’s Facebook page. Celebrate #Bourgogne #ChardonnayDay wherever you are! The BIVB invites you to discover its new video, “Bourgogne, a land of emotions”. This two-minute video will take you straight to convivial heart of Bourgogne wines. It takes you right into the heart of some breathtaking landscapes, work in the vines, and some celebrations that would make Bacchus green with envy! You’ll be swept up in the emotion! This video is also available in English and is there for you to use and share during presentations or tasting events involving Bourgogne wines. 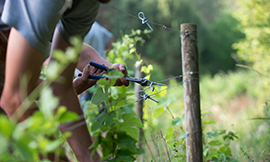 Don’t miss out on any upcoming events involving Bourgogne wines. 9 June to 9 July: “Climats Month”, a whole month of events to celebrate the second anniversary of the inclusion of the Climats on the UNESCO World Heritage List.